The Christmas spirit has got to us all in Ibiza Sun Apartments. This is why we have created an offer code for a discount to celebrate the magic of these dates with our customers. To enjoy this discount, book your summer holidays in Ibiza for 2019 from 18th December until 18th January, the dates when this new offer code will be available. It’s extremely easy to use our 20% discount from the Special Christmas offer. You only have to book your suite in Ibiza through our website’s booking form and enter the code XMASSUN (all in uppercase) into the appropriate field. This special offer is available for our two types of suites. When does Ibiza Sun Apartments open for the 2019 summer? 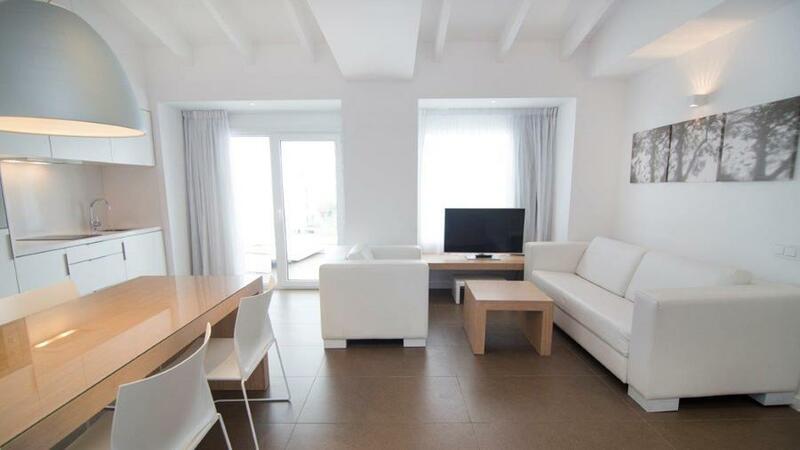 If you’re already planning your summer holidays in Ibiza for 2019, you should know that our comfortable and modern suites on d’en Bossa Beach will be open to guests from 17th April. If you don't usually book ahead, find out why we recommend you make the most of our offer codes in our post, 5 benefits if you book your holidays in Ibiza now.